Are you looking for field trip shirts? If so, A+ Images has you covered! Our line of self-portrait class shirts make excellent field trip shirts. We call these shirts Classroom Faces class shirts. The goal of a field trip shirt is to make your group easy to spot. Sure, you can wear bright shirts with your school name stamped on the front. If you’d like to do that, visit our main website and request a quote. 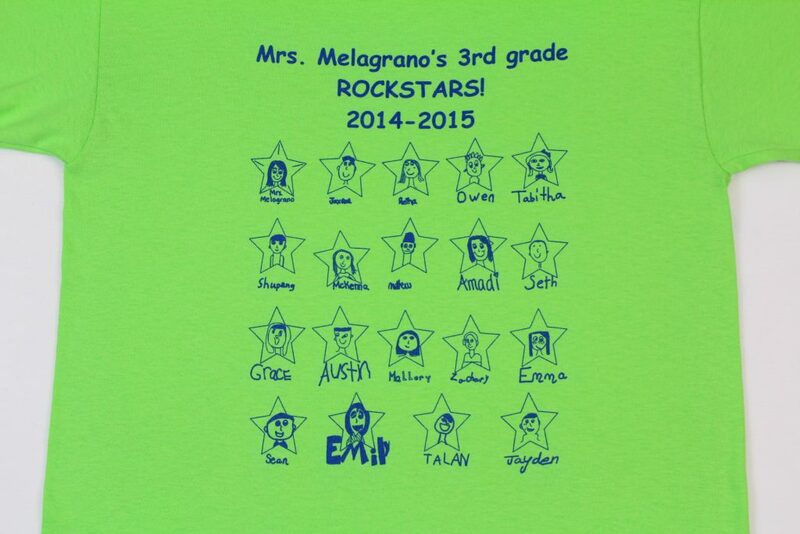 However, Classroom Faces shirts are much more personalized. Start off by picking a shirt color. This can be one of 25 colors we stock. Next, select an ink color. School colors are commonly chosen when schools order these shirts. For field trip shirts, we recommend bright color combos. That way, your students are noticed in crowded facilities. For instance, lime green shirts with purple ink stands out in a room better than black shirts with white ink. Then, have each student and teacher in the class draw their own pictures. The pictures can be very creative. Students also write their own names. Text can be added on top to clearly identify the school and class. Do you have multiple classes from the same school going on the same field trip? If so, having a different shirt and ink color combination will make distinguishing which students are with each teacher or group. Our field trip shirts are printed on 6 oz, 100% cotton t-shirts. These are not cheap “see through” shirts that other companies sell. They are quality shirts that should last for years if properly cared for. It is more likely students will out-grow the shirt before the shirt shows signs of wear and tear. Special Offer – Promo Code! Just for reading this post you’ll receive a secret offer. Use promo code CF-FT-FTS on your order form for a Free Teacher Shirt! Your order must have 15 paid shirts to qualify. You must also follow all other guidelines listed in the directions, FAQ, and order form. Occasionally, we offer even better specials. Check our home page, Facebook and Instagram pages in the beginning months of each semester. PRO TIP: The earlier in each semester it is, the better our promotions tend to be! For instance, January and February have better sales than March. April and May normally don’t have any sales. However, if you found this post, this special can be used year-round! 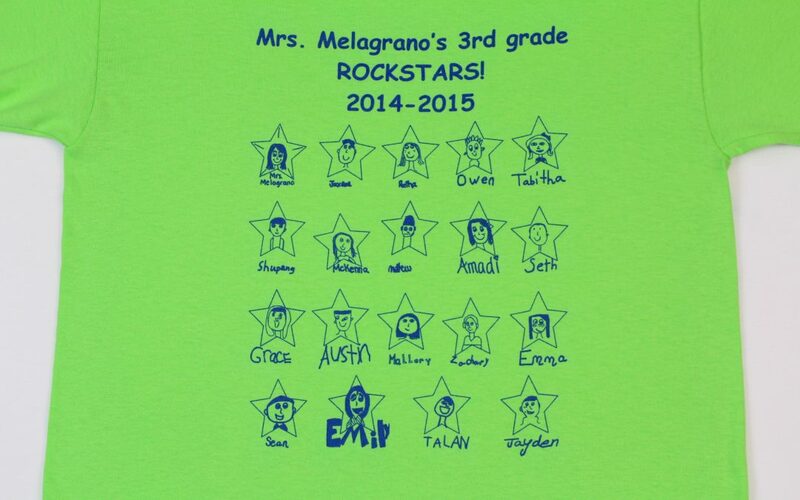 We look forward to printing your Classroom Faces field trip shirts soon!